Join Us for Summer Sounds! 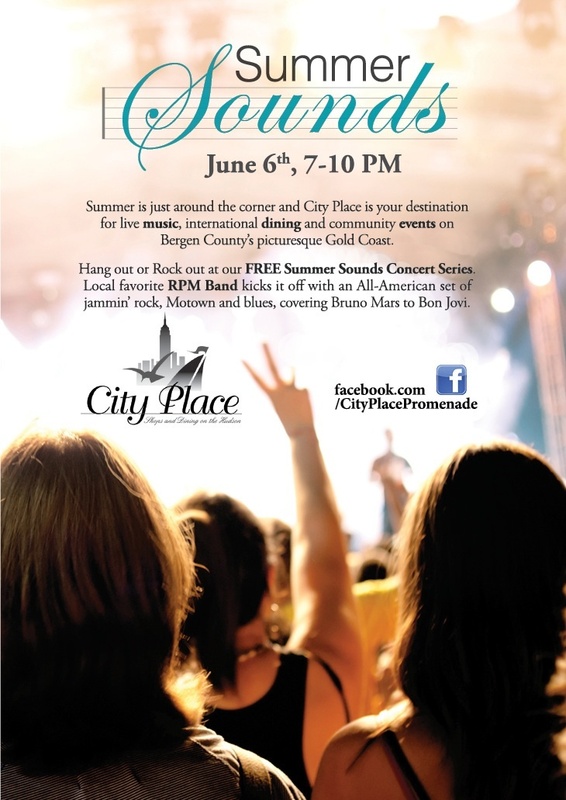 Join us for the first performance of the Summer Sounds live music series at City Place Shops and Dining on the Hudson this Thursday June 6th 7-10pm! 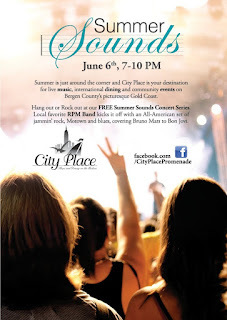 Local favorite RPM Band will kick off the series by covering all of the rockin' hitsfrom Bon Jovi to Bruno Mars! While you're enjoying the music, be sure to shop and enjoy the savings, coupons, discounts, and promotional activities! Don't miss out on the festivities!